Can You Survive Storming the Gates of Arkham? 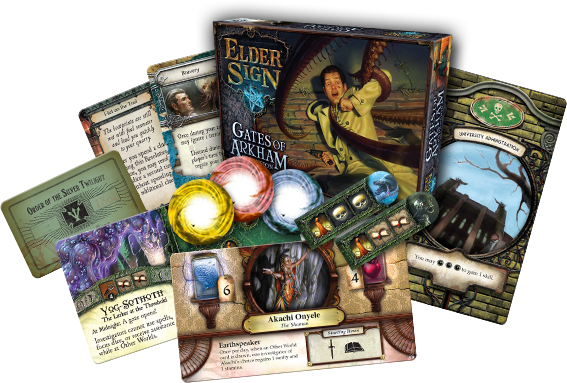 Fantasy Flight Games has announced the Gates of Arkham expansion for Elder Sign, a cooperative dice game of Lovecraftian horror. Gates of Arkham will appear in stores in the first quarter of 2015. 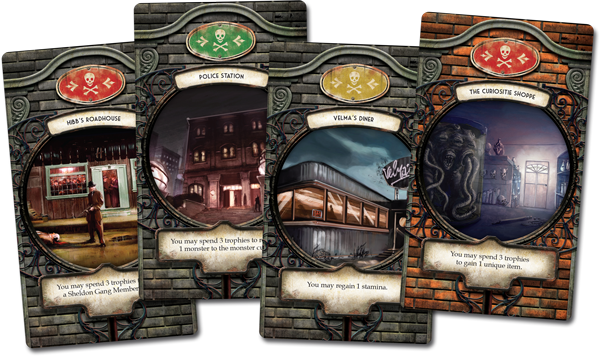 In the meantime, look for further previews of Arkham’s locations, gates, Ancient Ones and investigators on the Gates of Arkham and Elder Sign minisites. Even better, you can demo the expansion at Arkham Nights, the upcoming celebration of Lovecraft-themed games on the weekend of October 17-18 in Roseville, MN.